Doesn't everything taste better when it's free? On Monday, 7-Eleven is having a birthday party and the present is all yours. The company is thanking its customers with a tasty treat for 84 years in business. All around the Bay Area people will be able to snag a free 7.11 oz. Slurpree at any particapating 7-Eleven stores. There are 400 participating stores here so it should not be hard to find a location for this giveaway. "We've been doing this for years," said Marisa Vallbona, PR consultant for 7-Eleven. "This year is different in that we've never had a grand prize this big." What's the grand prize? The person who downs the Slurpee the fastest will win their very own Slurpee party. 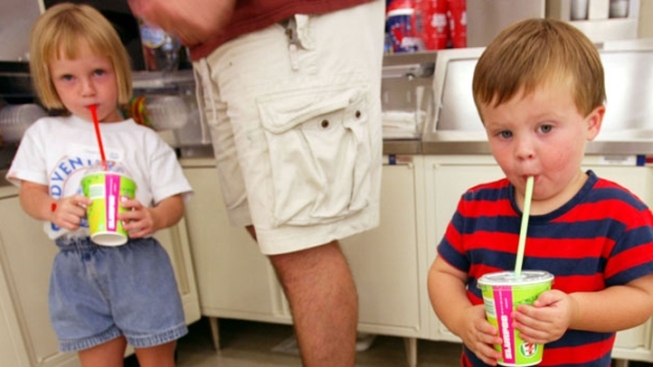 The ultimate slurpeee drinking contest is being held a two locations. One is in Sunnyvale and the other is in San Francisco. "People might want to start practicing now to avoid brain-freeze," Valbona said.